Nothing ruins the overall appearance of your vehicle than a dent — no matter how big it is. At O’Neill’s Body Shop, we specialize in removing dents and dings from your vehicle using our advanced paintless dent repair system. Our dent technicians use professional paintless dent repair techniques designed for all makes and models of cars and trucks. Our unique paintless dent repair process can save you both time and money and restore your car’s exterior panels to their original smooth finish. Using special tools and time tested methods, our specialists can remove dings, dips and small dents from exterior metal panels without any grinding, filling or painting. The paintless dent repair process is faster, costs less and — since no harmful chemicals and pollutants are used and there are less leftover body parts piling up in the landfill — this process is greener and less damaging to the environment than traditional collision repairs. Many insurance companies prefer this process due to the quick turnaround, lower cost and lack of vehicle depreciation following the use of this more efficient technique. 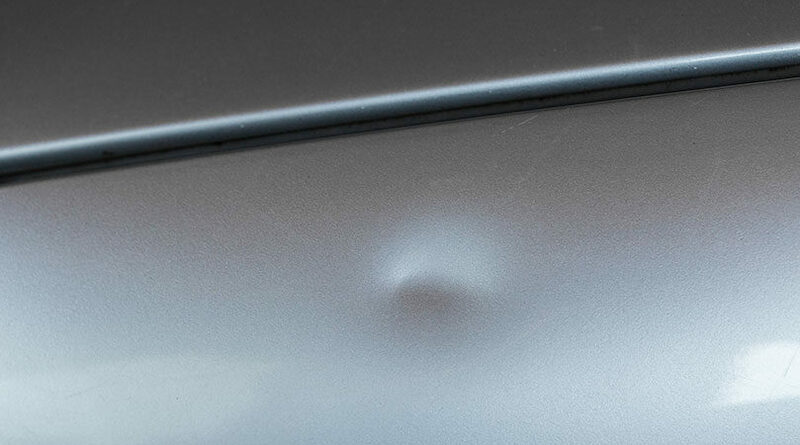 So, stop being embarrassed by unsightly dents in your car every time you drive your car. Let the dent repair experts at O’Neill’s Body Shop get you and your car back on the road in style. For more information about the paintless dent repair services at O’Neill’s Body Shop, please contact us here or call us directly at 616.949.6840.